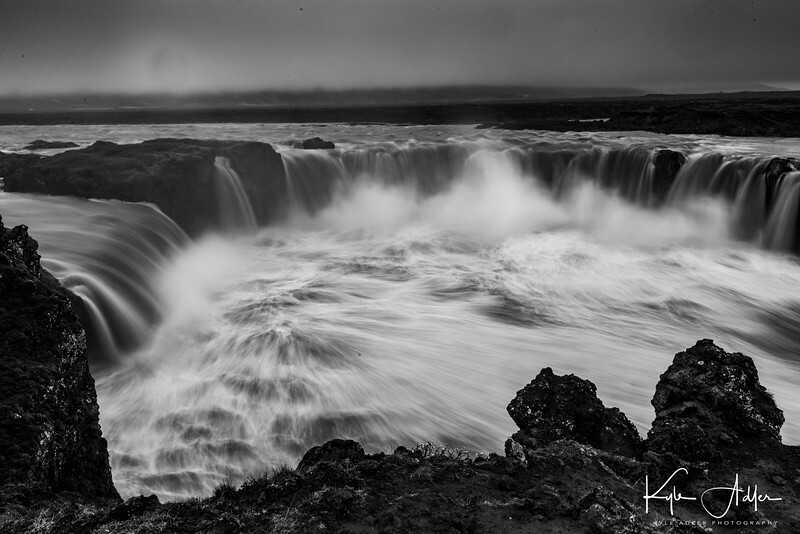 Even a dreadful rain storm couldn't spoil these images of Godafoss Waterfall. Meaning "waterfall of the pagan gods," the falls received their name when the leader of Iceland's parliament chose for the country to adopt Christianity as the official religion in AD 1000. Informally, Icelanders were still allowed to practice pagan rites in private, but the head of parliament made a symbolic gesture of throwing most of his pagan statues into the falls.